It's probably the only place in the world with numerals for a name. 1770 is a town in Queensland along what is known as the Discovery Coast between the cities of Gladstone and Bundaberg north of the state capital of Brisbane. Why the Discovery Coast? Because this is where Captain James Cook first landed in Queensland on his voyage of discovery in the 18th century. Why 1770? Because this is the year he first made landfall in Queensland. On most maps, the town's name is written as Seventeen Seventy. The town calls itself the Town of 1770 and this is how it's identified on quite a number of publications. But it's known by many by the catchier, punchier, unique numerical name of 1770. 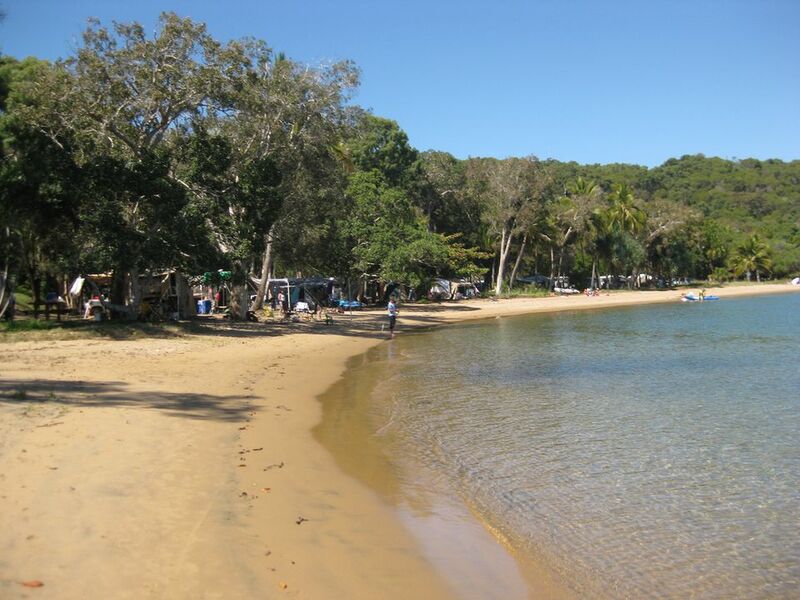 Sometimes described as a fishing village, 1770 is surrounded on three sides by the Coral Sea and Bustard Bay. It is an area where wildlife thrives in a nearly untouched natural environment at the town's very doorstep. For the visitor to 1770, there's holiday accommodation in houses, apartments and caravan parks and camping grounds. Surfing and still-water beaches are a walk or a short drive away. There are a couple of restaurants, a general store and a marina, and more visitor amenities are to be found just eight kilometers south in the town of Agnes Water. A unique experience offered in 1770 is the LARC tour which takes the visitor on an amphibious journey from the 1770 marina, crossing by water to the long stretch of beach along Bustard Bay and traveling in water or on land to Bustard Head with its historic lighthouse and nearby late 1880s gravesite. The LARC (Lighter Amphibious Resupply Cargo vessel) is a modified, well-maintained amphibious vehicle originally built for military use and is now used in 1770 — there are two of them in town — to transport passengers on sea and on land on the 1770 Environmental Tours. On a weekend in May close to the anniversary of Captain Cook's landing on Queensland soil on May 24, 1770, the town celebrates the 1770 occasion with its annual Captain Cook 1770 Festival. And yes, there may be a reenactment of Captain Cook's arrival in the year 1770 in the town of 1770. The town of 1770 lies on the eastern coast of central Queensland between the cities of Gladstone and Bundaberg. If coming from Gladstone, turn off Bruce Highway at the town of Miriam Vale and head towards Agnes Water. At Agnes Water turn left (north) towards 1770. If coming from Bundaberg, there's a route that's closer to the coast and goes through the towns of Rosedale, Lowmead and Roundhill and on to Agnes Water. Best to have a map handy. Alternatively, head west to Gin Gin from Bundaberg, head north on Bruce Highway, east at Miriam Vale, and on to Agnes Water and 1770. For those flying into central Queensland, there are airports in both Gladstone and Bundaberg.